Backed by our hard-earned experience of this industry, we are engaged in offering an excellent quality Centrifugal Smoke Extract Induction Jet Fan. The given range of induction jet fan is precisely designed by our trained professionals consuming the premium quality factor inputs and leading technology in accordance with the set market norms. This induction jet fan is widely valued by various application areas due to its reliable performance. We provide this induction jet fan in several specifications to choose from within a given period. Backed by our hard-earned experience of this industry, we are engaged in offering an excellent quality Jet Fans. The given range of induction jet fan is precisely designed by our trained professionals consuming the premium quality factor inputs and leading technology in accordance with the set market norms. 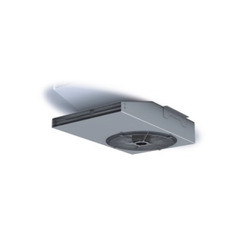 Jetfan induction fan system, the intelligent solution of smoke extraction for underground car parks and passages. AGM 01/02/06: Air flow in direction of motor (pressure) - not reversible. Casing made of galvanized sheet steel and equipped with silencer at both ends. Air flow straightener. Adjustable guide vanes. Axial fan impeller made of cast aluminum. Certified motor for smoke gases, protection IP 55, ISO H, maximum operation allowed to ISO F.
RGM 91/96: Radial Jet fan in a particularly low design, casing made of galvanized sheet metal, suction side with guard, pressure side with integrated guide vanes, centrifugal impeller with backward curved blades of steel, welded and coated, certified motor for smoke gases, protection IP 55 with heat-resistant connection with terminal box fitted on metal fan casing. We are offering wide range of Jet Fan. 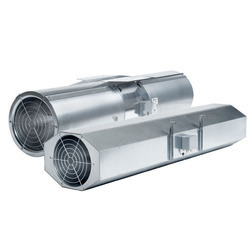 These are use for general ventilation in any location where compressed air is available. These fans are suited for ventilation of tanks, vessels or other confined areas for the removal of hazardous fumes or contaminated air from welding, abrasive blasting and other operations. By keeping track of the latest market developments, we are offering a premium quality Axial Smoke Extract Impulse Jet Fan. Ideal for smoke extraction in case of fire up to maximum 300 degree C, our offered jet fan is broadly demanded by our patrons owing to its durability, sturdy construction and reliability. The offered jet fan is perfectly checked at our end before the delivery by our quality controllers. Looking for Cleaner Air Fans ?